The Birchall Brothers at Ballaugh Bridge TT 2013. 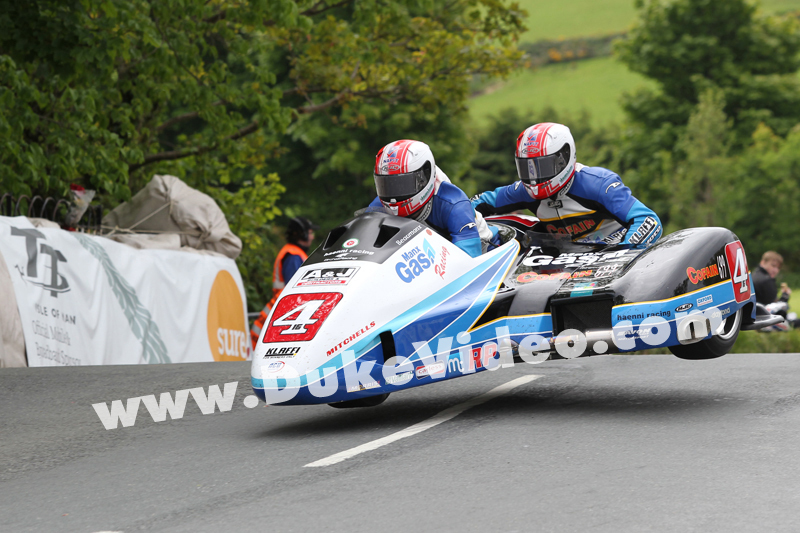 2013 proved to be a breakthrough year at the TT for Ben and Tom Birchall. The Mansfield brothers, backed by three-times winner Klaus Klaffenbock suffered a disappointing retirement while leading the first race before going on to secure an emphatic win in Sure Sidecar Race 2. The speed and determination are shown vividly in this photograph by Dave Kneen as they tackle Ballaugh Bridge.